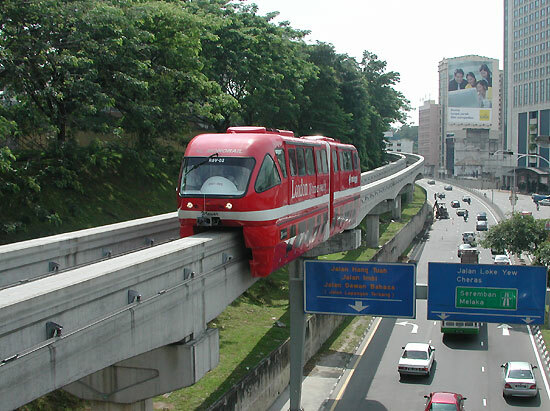 Our favorite repeated theme, illustrated perfectly: monorail does NOT negotiate through traffic, it glides quickly and quietly above it. 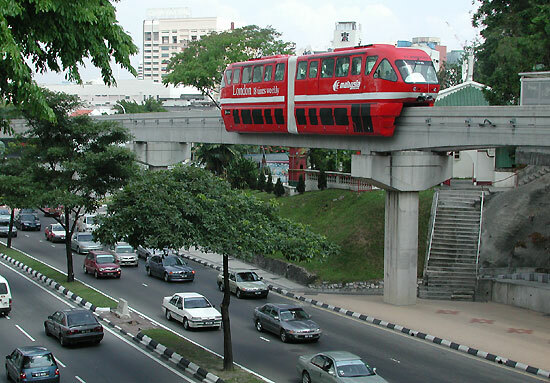 The London "double-decker bus" train, just south of the Maharajalela Station. 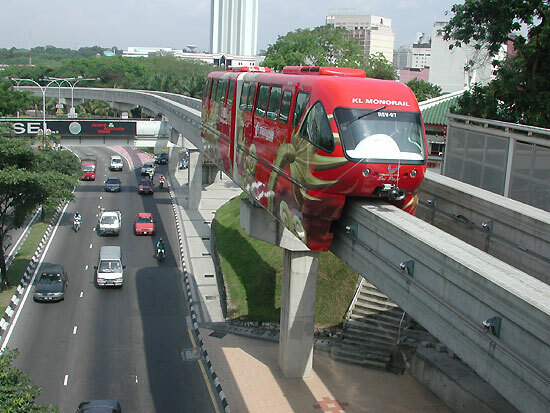 How much ground space does monorail take up? 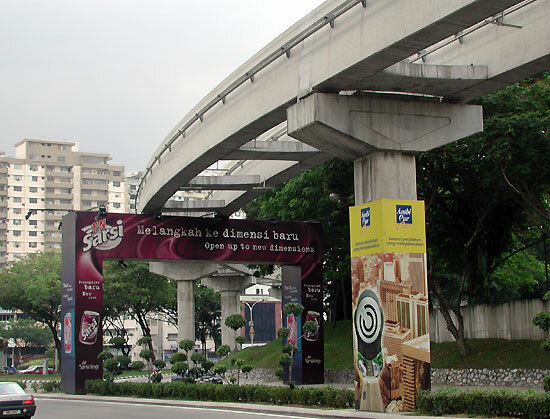 Look at the base of the pylons. But what about the shadow it casts? You call that a shadow? It barely covers that motor bike fellow. Looking north from the Maharajalela Station platform, the line follows a heavily-traveled highway on one side, and a hill full of trees on the other. 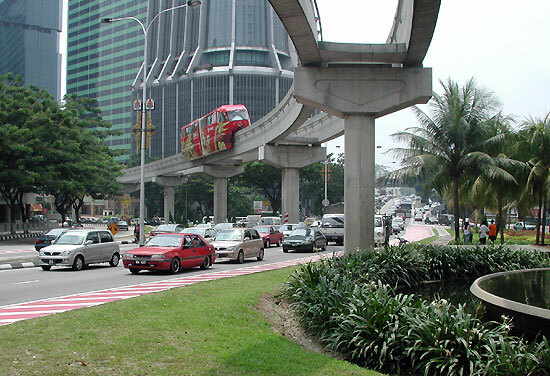 As we get closer to downtown Kuala Lumpur, advertising on pylons and straddle bents becomes more apparent. 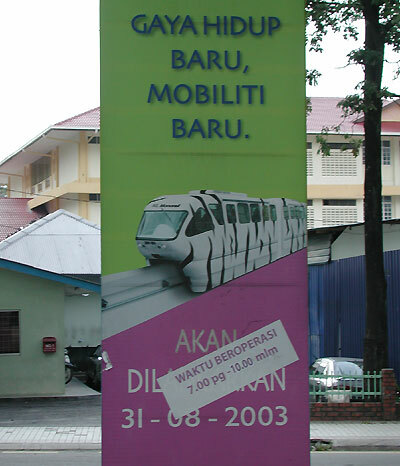 This pylon ad shows the recently expanded hours of operation (as of Spring 2004).